F ood: our need for it is primal but our relationship with it is complex; our bodies are still hard-wired for a tougher world where food means survival but eating has become a leisure pursuit; our innate craving for sweets and fats, and their ubiquitous availability, now seems to lead us down a path of bodily destruction. Food is packed full of complex, biologically active molecules that have an immense impact on our health. There are no truer words than ‘we are what we eat’ – the food we eat defines the life we lead. But, no matter how good the science, or how well we are able to exploit food as an agent of healthfulness, we will be eating with mainly pleasure in mind for some time yet. Eating for both health and pleasure is, for some, not achievable at the same time. Striking a balance can be difficult, fraught with complications, and confused by marketing messages from food manufacturers. As an experienced nutritional therapist, I will guide, encourage and support you through your journey towards optimal health and peak condition. Amelia Freer is a registered nutritional therapist & best selling author of Eat. Nourish. Glow. & Cook. Nourish. Glow. 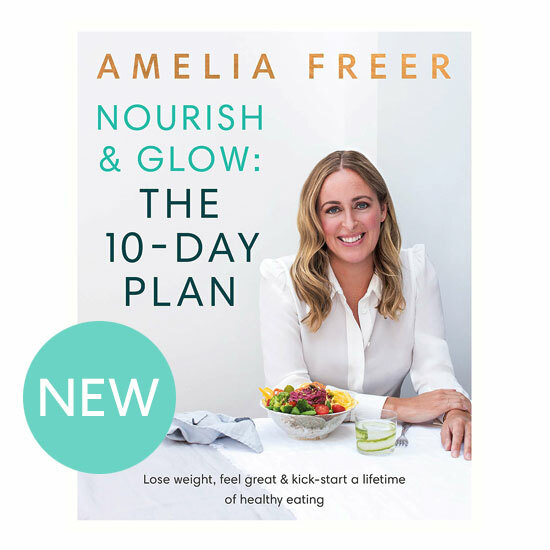 Amelia's third book, Nourish & Glow: The 10-Day Plan, is out now.